The visionary Mazak Corporation has invited more than 2,000 different industry experts to the North American Technology Center, allowing them to take part in their Discover 2013 spectacle. The much anticipated event will provide each tech professional with various trade discussions and business related metalwork demos that promote a large assortment of innovative Mazak machinery. Considered to be the biggest machine based seminar in the business, this event will totally amaze its participants. Commonly known to entertain a variety of industry meetings, the president of Mazak, Brian Papke, has been noted as stating that this years’ event will offer an elevated adventure for visitors. In fact, Papke is quoted as saying that, “It’s no longer practical to just have an open house. The time of people is so much more valuable that, in order to have an event like this, it has to be technology drive”. Realizing that a vast majority of other businesses are not on their same operating level, the president of Mazak has even gone as far as saying that his company is “representing what manufacturing will be”. While this might come off a little arrogant at first, it is the truth. Aggressively sustaining their investment in assembly technology, Mazak has quickly become a top industry producer in machinery creations that offer top of the line, dependable merchandise. 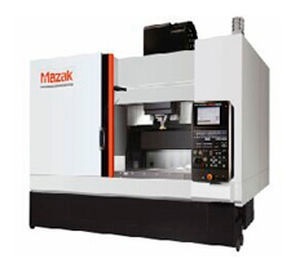 Held in their beautiful Florence venue that manufactures over 100 different prototypes of vertical machining centers, turning centers and multi-tasking machines, Mazak is definitely an industry leader is machine technology. With 37 newly created machines available for demonstration during the Discover 2013 event, there are a total of 5 products that have already been invented for specific customers. Additionally, out of the 37 machines, each one of them has at least one new specific characteristic while other models have been completely reinvented. Some of the new models have been exclusively re-calibrated with advanced specifications and accessories that can manufacture at an incredibly high production rate. Not stopping there, Mazak has also developed 11 new machine tools that have been specifically designed to assist in their Florence expansion. They also produced 7 more prototypes to help with individual parts of the creation process. Teaming up with some of their VIP helpers, Mazak wants to go further than exhibiting their different machine models. The company president has said that “It adds another dimension of technology to some of the things we do. We are in the final stages of putting this show together and the technology is incredible”. Realistically, the Discover 2013 event is the perfect way for Mazak to promote and create an industry buzz in regard to their new line of vertical machining centers and other machinery.